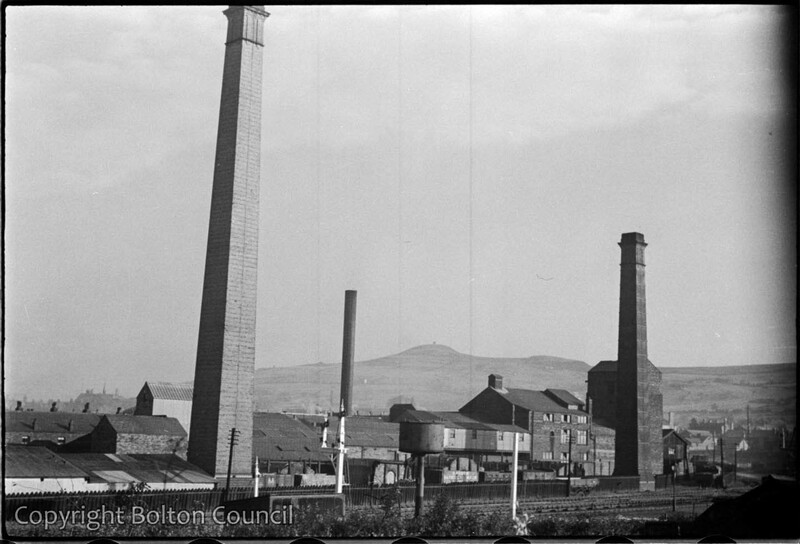 This isn’t the Loco works; that was a very large site on the other side of Chorley New Road, part of which is still standing. I remember this factory but I’m not sure what it was; it was alongside the Horwich branch line between Horwich Station (Beeching victim) and Chorley New Road. The chimney on the right was there until the 1990s. I think that this was the site of Adam Mason Ltd who made specialised ceramic and refractory bricks.